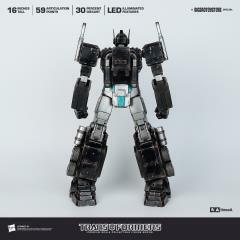 Shipping cost is calculated using dimensional weight instead of actual weight. 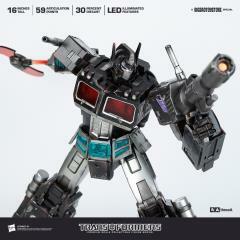 Due to USPS size restrictions, this item is only available to ship by UPS or Fedex Ground for all domestic orders. International customers will be notified at the time of shipping if this item needs to ship via a different method than chosen. 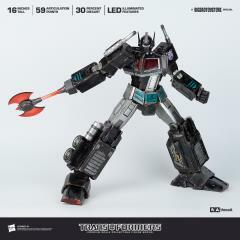 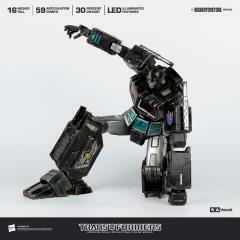 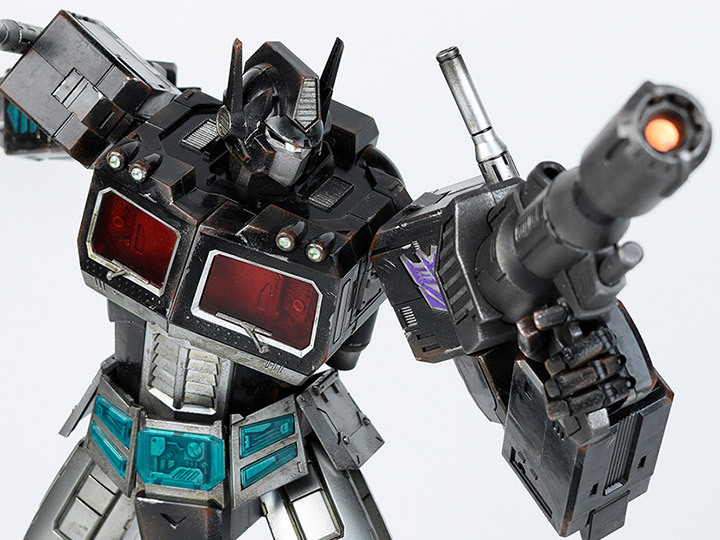 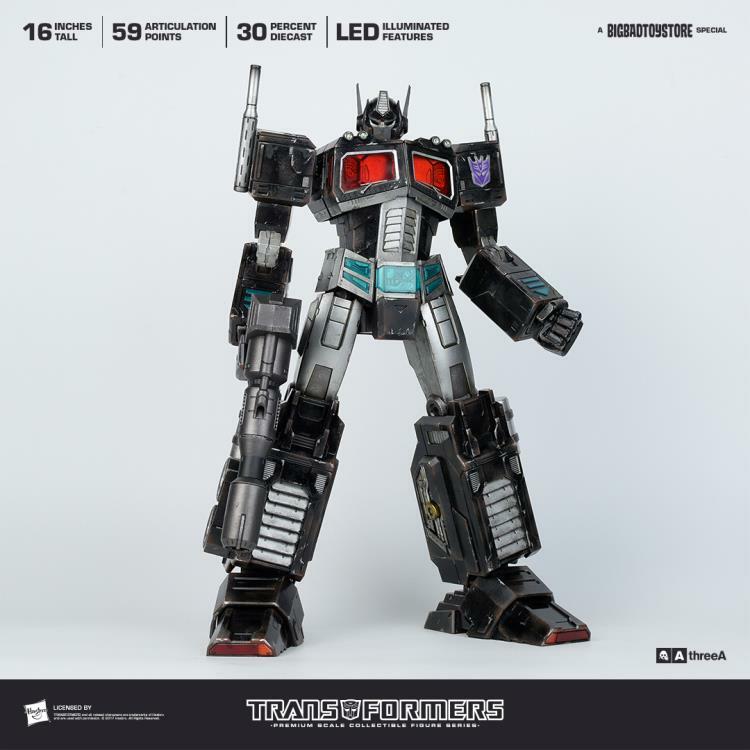 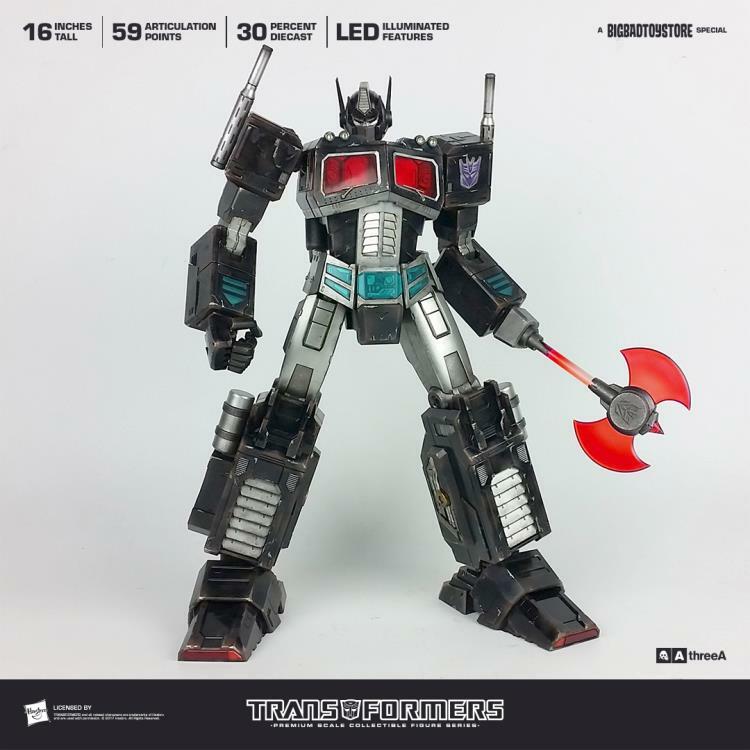 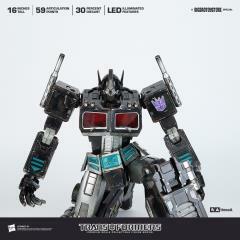 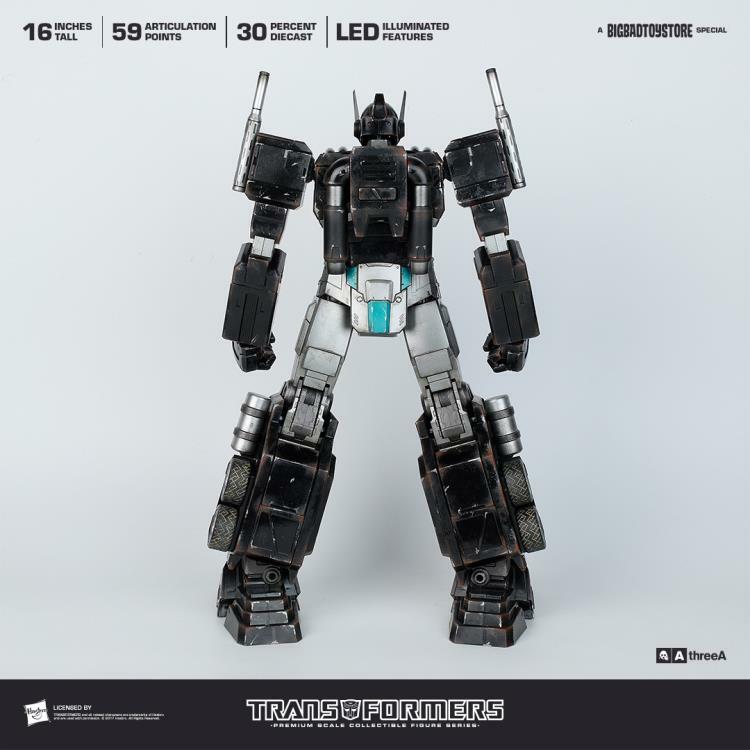 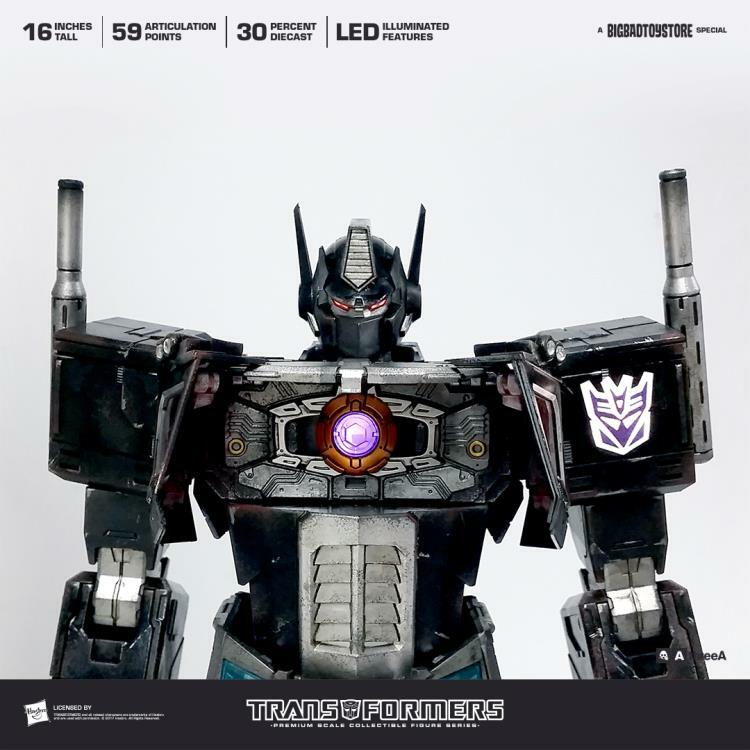 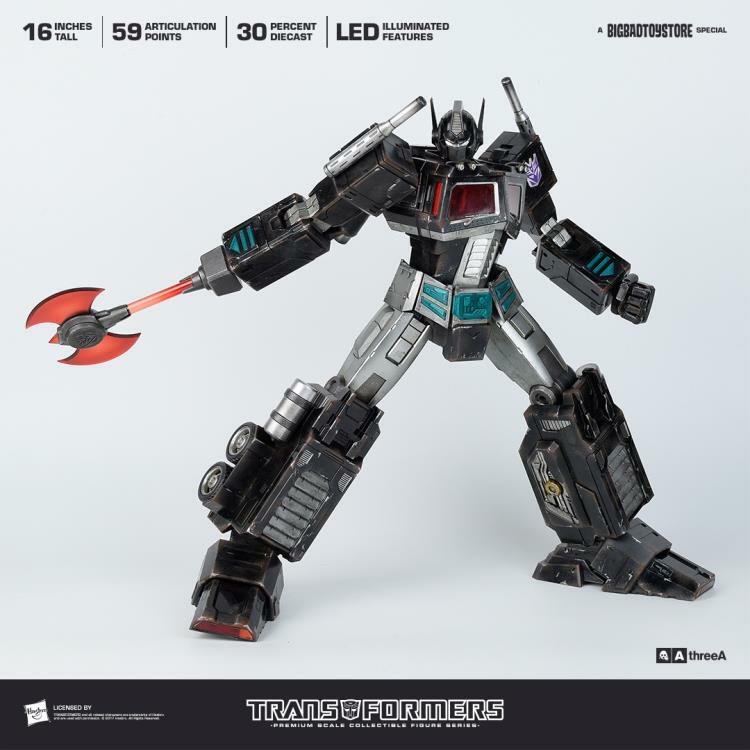 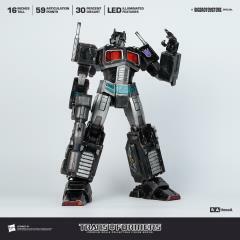 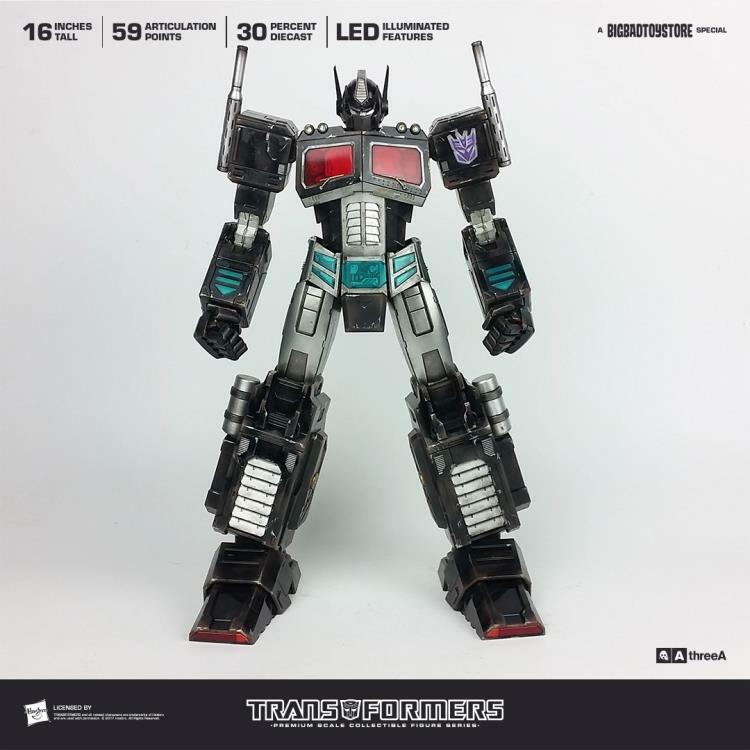 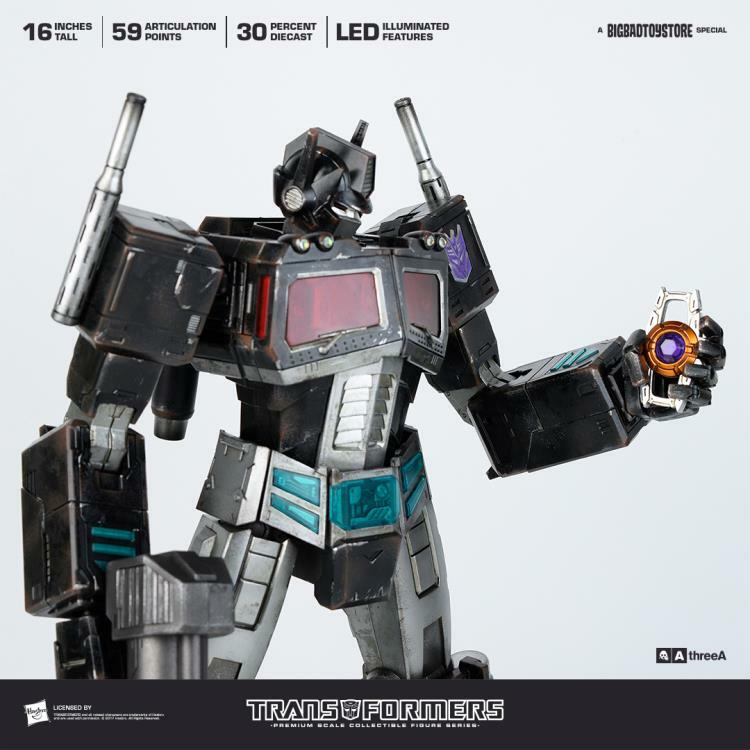 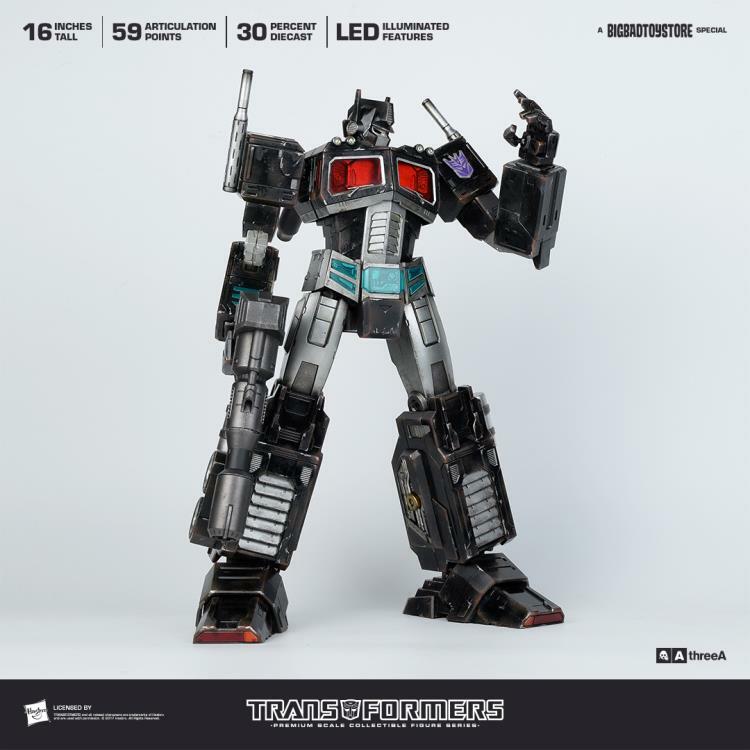 Hasbro licensee ThreeA and the world renowned online collectibles shop BigBadToyStore proudly present Transformers Generation One Nemesis Prime! This BigBadToyStore Special Edition is only available from BBTS.com! 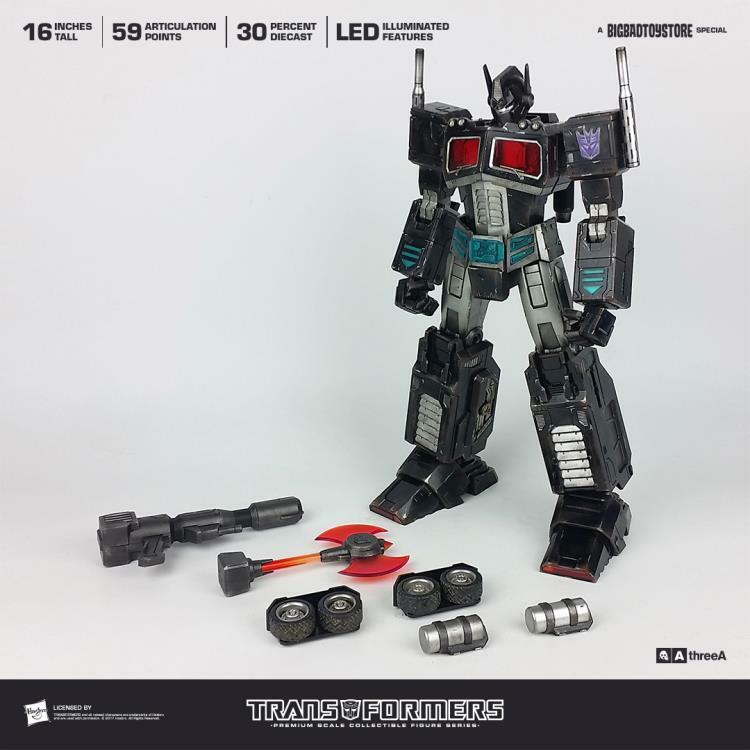 Transformers G1 Nemesis Prime stands 16 inches tall, includes over 30% die-cast metal detailing, 59 points of articulation, and features LED illuminated details, a variety of accessories, and incredibly detailed weathered paintwork! The dark mirror of Optimus Prime, a twisted clone of the Autobot leader imbued with all his strength, abilities, and intellect, but lacking all moral restraint and compassion. 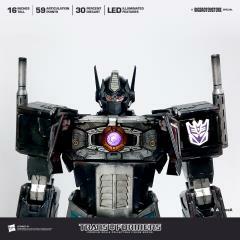 Nemesis Prime serves only the World Eater Unicron and carries within him the Dead Matrix, possibly the only thing in the universe that can destroy the ancient Primus. Nemesis Prime’s brutality is known and feared by Autobot and Decepticon alike!